After pioneering the corporate wellness space, Stepathlon is now aiming to create an even bigger impact on the lives of the younger generation. Talking about its entry into the B2C space with Stepathlon Kids, Ravi Krishnan, Co-Founder & CEO, Stepathlon Lifestyle Pvt. Ltd. said, “Since 2012, Stepathlon has had positive impact on the health of Corporate India and we are now looking at making a difference to the lives of future generations. The physical, mental and emotional health of children is negatively affected by a sedentary lifestyle. With Stepathlon Kids, we aim to ingrain health and wellness in them at an early stage, to build a foundation that will last them a lifetime. 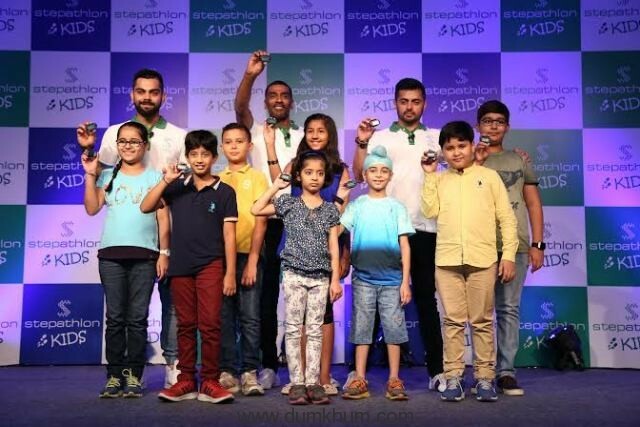 Virat has been through a personal fitness transformation and we are proud, and honoured that Virat has chosen Stepathlon Kids to build a healthier nation. This is another way that Virat Kohli is going to be leading the country. Together we can build on the phenomenal success Stepathlon has had in the corporate space.